KHOST -- Four people were killed and 14 others wounded in an explosion at a mobile phone market in southeastern Afghanistan Sunday (September 17), according to local officials. "The blast happened at around noon in a market where people go to download music and videos to their mobile phones," Khost provincial police chief Brig. Gen. Faizullah Ghairat told AFP. He said the explosion was caused by a "remote controlled bomb". Khost health department director Habib Shah Ansari confirmed four people had been killed and said "over a dozen wounded" had been taken to hospitals in the provincial capital of the same name. There was no immediate claim of responsibility for the attack, but the volatile province bordering Pakistan is contested by the Taliban. Music was one of the many forms of entertainment banned during the Taliban's 1996-2001 rule, and the militants have previously attacked such markets. The province has come under attack by the Taliban in recent months. 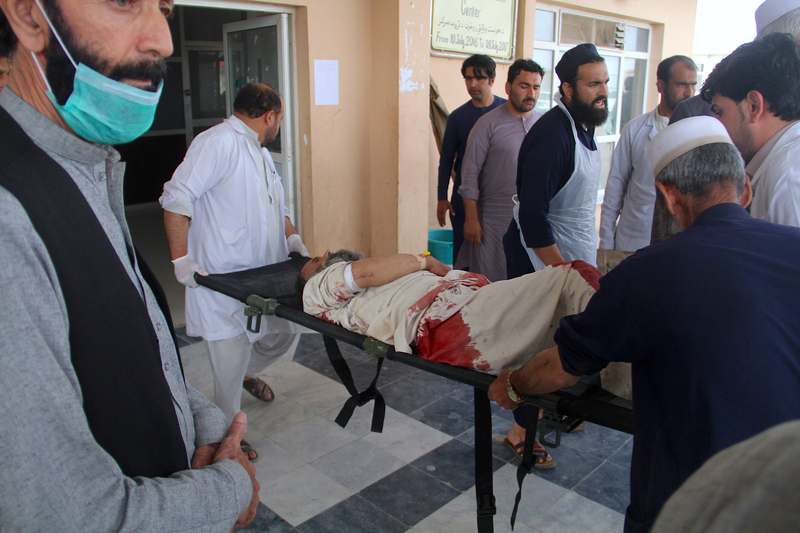 As Ramadan began May 27, a Taliban car bomber targeted members of the elite Khost Protection Forces, a pro-government militia, leaving 13 people dead and six injured. In April, a suicide car bomber in Khost city killed four Special Force members, Ghairat confirmed at the time. The Independent Election Commission, which is overseeing preparations for the vote, hopes to register up to 14 million adults at more than 7,000 polling centres. Militants have repeatedly tried to disrupt the process.